What percentage of companies do you think get fined for incorrectly handling payroll? The answer: around 1 in 3 companies get fined annually for performing payroll incorrectly. Of the 6 million or so companies in the United States with at least one employee, around 2 million get fined for not properly filing payroll tax related documents, using the wrong formulas to calculate taxes, or making late payments. Why is the number so high? First, payroll taxes are complicated. There are often taxes that need to be paid separately to municipal, state, and federal governments. Each has different forms that need to be filled out and calculations to be completed. Secondly, a huge number of small businesses are doing these calculations without the help of a professional service or software. Approximately 40% of businesses with employees are performing payroll calculations on their own, using paper or spreadsheets. 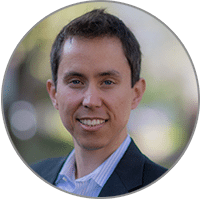 In 2011, Joshua Reeves co-founded Gusto to help take the headache and complexity out of payroll. Gusto serves the payroll needs of over 25,000 small businesses. Never heard of Gusto? At the end of 2015, the company changed their name from ZenPayroll to Gusto. In the interview below, Josh goes into the details about the reasons behind the name change and what’s next for his company. The following Q&A is reconstructed from my notes of the interview, and are not Joshua’s exact words or phrasing. ZenPayroll was a great name for us, since it spoke to the peace of mind we bring our customers. That said, having payroll in the name was limiting. 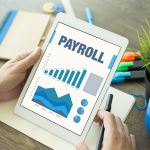 When people think about the word “payroll,” they have a very specific notion in mind, the process where withholdings and taxes are calculated, deductions made, and employees paid. Effectively, the term “payroll” has been defined by the way traditional payroll providers handled the service in the past. Existing products have been complicated and impersonal, treating people like transactions. Gusto is a full-service, nationwide payroll provider, and we’ve designed a compensation and benefits products that both employers and employees love to use..
Everyone can work with Gusto if they’re paid, cared for, and valued. The name “Gusto” also connotates the energy, enthusiasm and oomph needed to run and operate a small business. Our clients are typically between one to 150 employees, with business owners and founders very involved in the company. They exhibit “gusto” on a daily basis, which was our inspiration for choosing this name. What services do you offer beyond payroll? Gusto recently began offering workers’ compensation insurance nationwide and health insurance for companies in California. How are you different than a traditional payroll provider? Gusto is simple, transparent, and easy to use. I thinks this comes across in multiple ways. Let’s use our pricing as an example. Our per month price is straightforward and listed right on our website: $39 base price plus $6 per person, and that includes everything we offer and no extra fees. A 10-person company pays only $99 per month. The traditional payroll providers make finding their pricing very difficult and often require a phone call to get a quote. That’s not our philosophy. We make it simple, so business owners can get back to building great businesses. Instead of just focusing on the function of our payroll service, we also prioritize the employee and employer having a better payroll experience. For example, we give employees, both current and former, access to their payroll records online. If they misplace their W-2s, they don’t need to call up HR to request the record be resent. Instead, they can login and print a copy themselves, saving everyone wasted effort and time. For employers, we make every part of paying employees simple. For example, employers can reimburse employees for outof-pocket expenses with their paycheck. One feature around 25% of clients leverage, is the automatic running of payroll. If you have a business where your staff are all salaried employees (or hourly workers with set hours each pay period), we can automatically run payroll on your behalf. 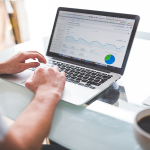 On the other hand, if changes are needed (bonus, overtime, add/remove employee), the business owner or management can easily make changes online. Why did you wait so long to change the name to Gusto from ZenPayroll? If you can, you should change a name sooner rather than later. The process involves a great deal of work, which comes at the expense of accomplishing other important priorities. With the expansion of our services into health insurance and workers’ comp, we decided it was the right time to invest the effort. When you a change a name, there are two important audiences for the change. One audience is your existing customer base. We spent a tremendous amount of energy and effort communicating the change to this group to help them feel comfortable with it. In fact, each of our 25,000+ customers received a phone call from a member of the Gusto team within a couple days of formally changing the name. Everyone in the company, from engineers to designers, made phone calls to communicate the change. We wanted our customers to find out about the name from us directly, via a friendly phone call, instead of online or through the grapevine. Another audience was the millions of small business owners who are not yet our customers. Preparing for this audience involves making visual and copy changes to websites, emails and marketing materials. However, the true meaning of “Gusto” is not fully captured or defined by the copy on a website or the pitch in an email. It is defined by the experience customers have with a company, the energy with which a company tries to meet their customer’s needs, and the shared memories and trust that develops between customer and company. That’s what we are about and that is what we are trying to communicate with our name change. 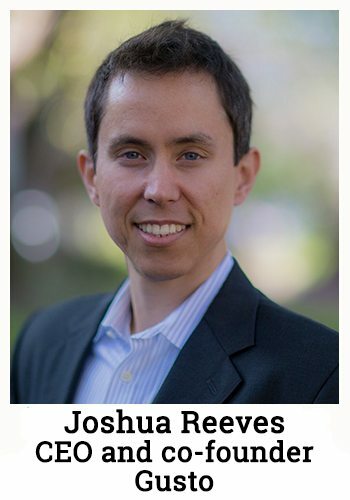 Joshua Reeves is the CEO and co-founder of Gusto, a startup that reimagines payroll, benefits, HR, and personal finance by automating the most complicated, impersonal business tasks and making them simple and delightful. Gusto has offices in San Francisco and Denver and their investors include Google Capital, General Catalyst, Kleiner Perkins Caufield & Byers, and the founders of Instagram, Stripe, Nest, PayPal, Yelp, Box, and Eventbrite, among others.